On February 13 and 14, Dhaka University was filled with throngs of people celebrating Pahela Phalgun and Valentine's Day. But, on the evening of the "World Love Day", all that was left were the remains of a chaotic tragedy. 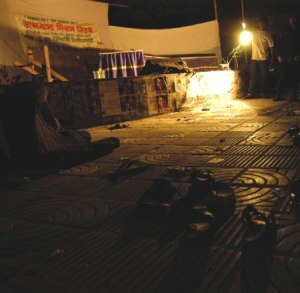 The bomb blasts near the TSC followed a series of others around the country in recent years. With relentless accusations based on more political rivalry than facts and a series of inconclusive investigations, people across the country without any sense of security, remain on edge.